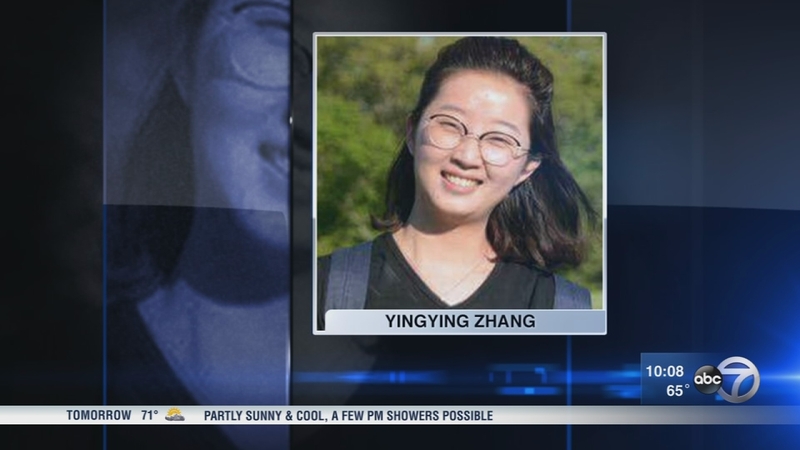 CHAMPAIGN, Ill. -- The FBI says it has located the car that a missing Chinese scholar studying at the University of Illinois was last seen getting into earlier this month. The FBI said in a Tuesday statement that it's received "numerous leads" regarding the black Saturn Astra and won't need any further information on the vehicle. Authorities also said they've developed "several additional leads" in the investigation. FBI spokesman Brad Ware declined to give further details. Twenty-six-year-old Yingying Zhang's disappearance has been labeled a kidnapping but police haven't ruled out other scenarios. Surveillance video on June 9 showed her getting into the vehicle. Local police and the FBI say Zhang's case is top priority. Zhang's family members have traveled to the central Illinois school and are staying in university housing as the search continues. "This has hit really close to home. Our children go to the University of Illinois to study. Get better. That's what Yingying was doing," said Randy Tom. Speaking through a translator, Zhang's aunt spoke of a young woman, devoted to her family who arrived at the University of Illinois in April with the dream of becoming a professor in the United States or China. "She's really good at school. Because of family financials it's not been really good so study has been her only hope to turning her life," said Tina Chu, of the Chinese American Museum of Chicago. Police have labeled the case a kidnapping and in a meeting on campus Friday, the FBI's special agent in charge of the investigation said finding Zhang is a national priority for the agency. However, no details were discussed and none have been given to the family either for fear that anything released to the public might be heard by her kidnapper. "Mr. Zhang just said 'Ying, please hold on. Don't give up. I will find you,'" Chu said. Crime Stoppers is offering a $40,000 reward for any information that leads to Zhang. It is the largest reward of its kind ever offered by the organization. All of the money has been raised through a GoFundMe account.